We recently asked La-Mulana developer Nigoro if they'd be willing to do an interview with with WiiWareWave and this was their response! 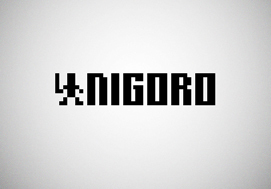 Please feel free to e-mail or PM us with your suggestions about what questions we should ask the folks at Nigoro! Re: New Developers Interview Incoming! I can't wait! La-Mulana is an awesome game. I'd really like to know if NIGORO has any plans to develop for the 3DS & WiiU eShops in the future.